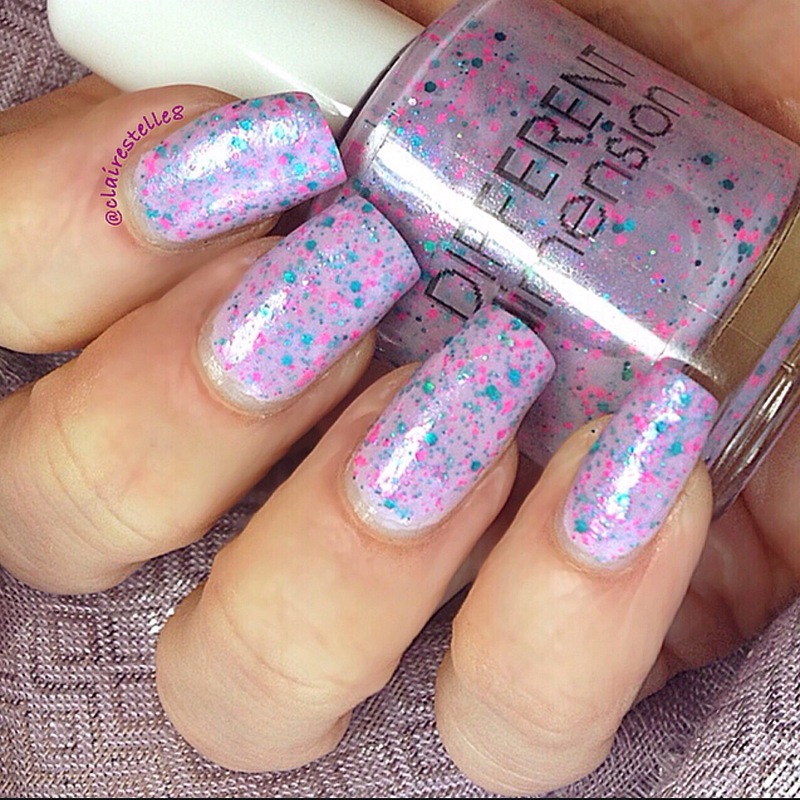 I have another gorgeous polish to show you today from the DD Summer 2014 collection Sea You on the Other Tide. This is Keep Urchin Up. 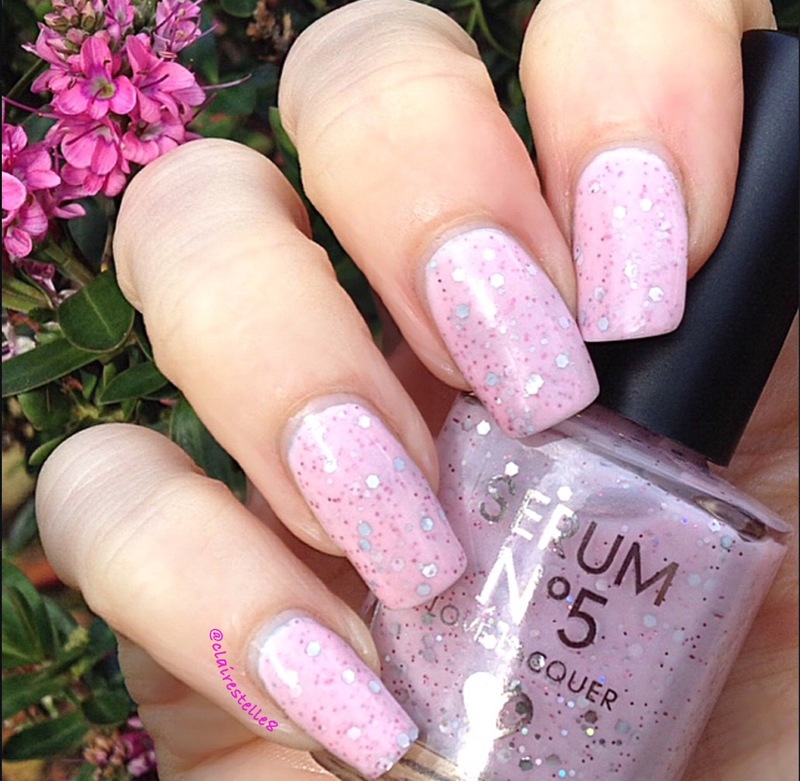 A beautiful shimmery lilac with lots of micro turquoise and pink glitter. It is so girly and pretty! Just my cup of tea! Formula was great and no fishing was required for the numerous glitters. It was a little sheer but was opaque in three thin coats and one layer of top coat was all that was required to smooth it all out! I’m not keen when it feels too textured! It was too pretty to remove too quickly so I thought I’d recycle my mani with a bit of faffage! 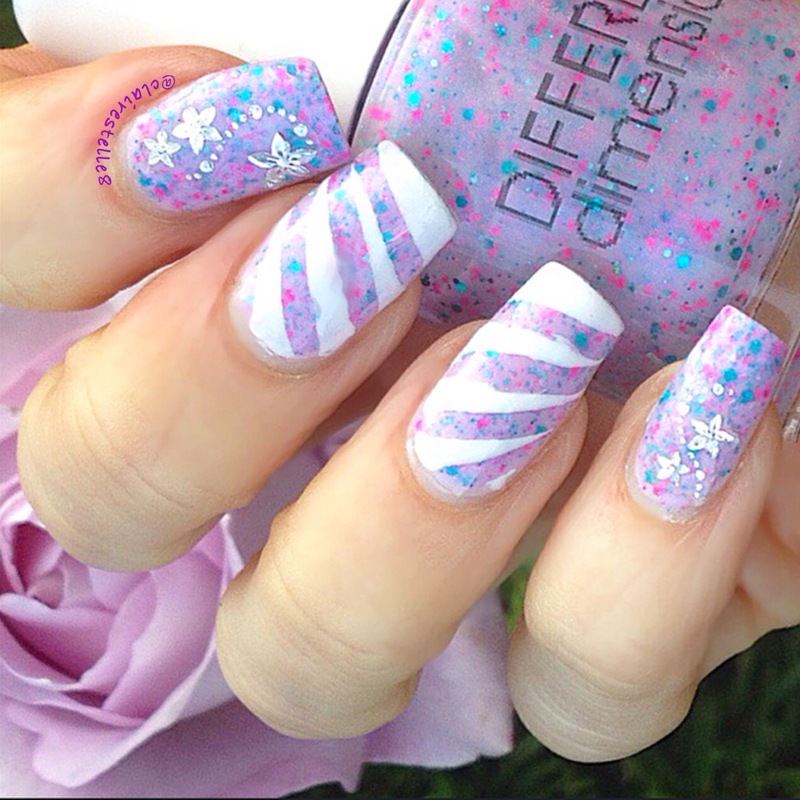 I used some straight vinyls and white polish to create a striped design on two nails and on the others I added some star stickers for a bit of added bling! Remember with vinyls and striping tape that the key is to ensure that the polish is completely dry and the nail is free from oil and grease to ensure the vinyl adheres properly, and then remove the tape quickly while the polish is still wet. What do you think? I was really pleased with the result! Keep Urchin Up is currently out of stock in the Different Dimension store but is available at http:// http://www.meimeisignatures.com and http://www.llarowe.com and be sure to follow DD on Instagram at http://instagram.com/missibarry for all store updates! I purchased my straight vinyls at http://nailvinyls.com. Their IG is http://instagram.com/teismom. Well I thought it was about time regular pink services were resumed in the Pink Princess kingdom I appear to live in! And this beauty has been sitting untried for far too long! 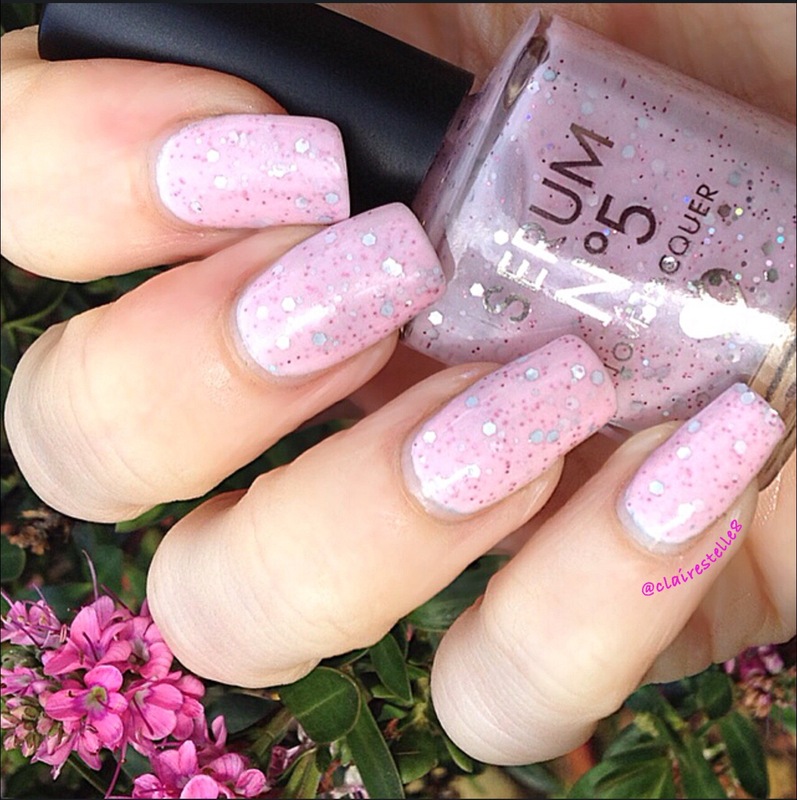 Blushed and Flushed is a delicate and oh so pretty glitter in a pink crelly. 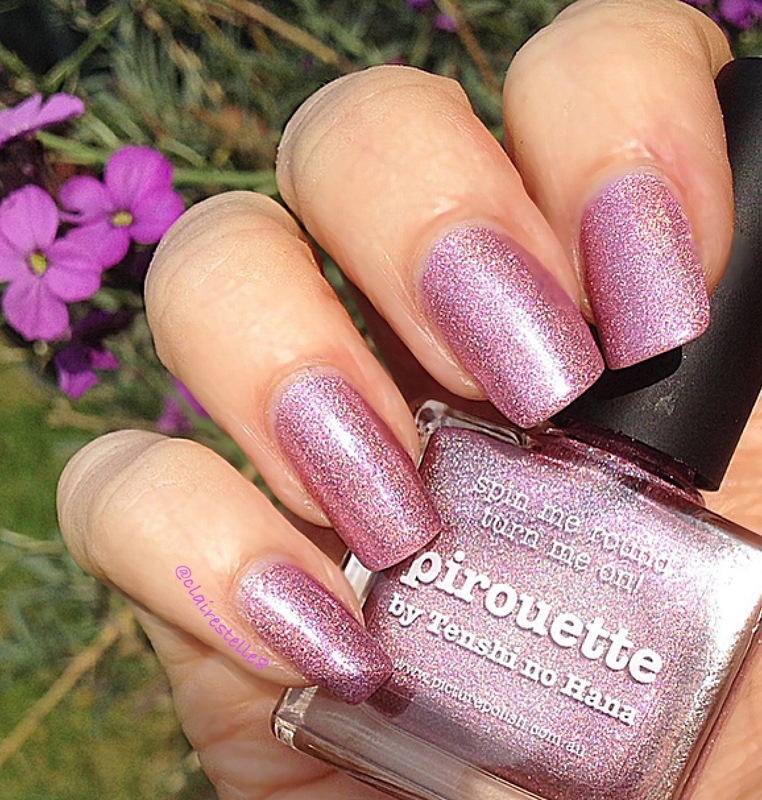 This was opaque in two coats and consistency was fantastic for a glitter crelly. Absolutely no fishing required for the pink and silver glitters which were plentiful but never got clumpy. Only one layer of top coat ( my current favourite KB Shimmer Clearly on Top) was required to make this smooth and glossy. 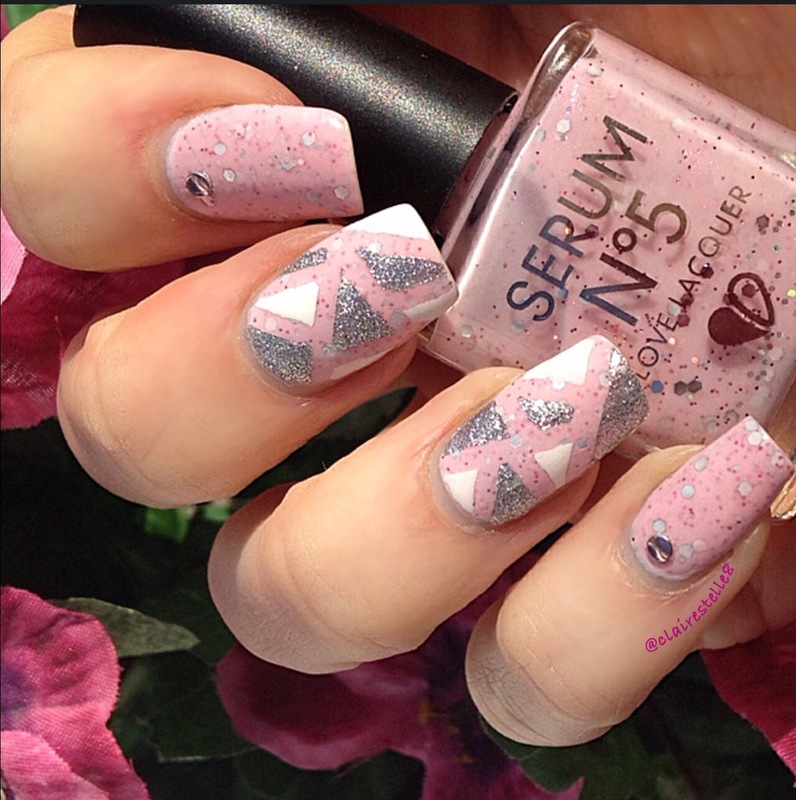 I absolutely love this and intend getting a lot more of their polishes. I couldn’t resist a bit of an arty faffage with some striping tape and glitter though it’s such a beautiful polish I think it’s best left in its original state! I fell in love with this polish at first sight! 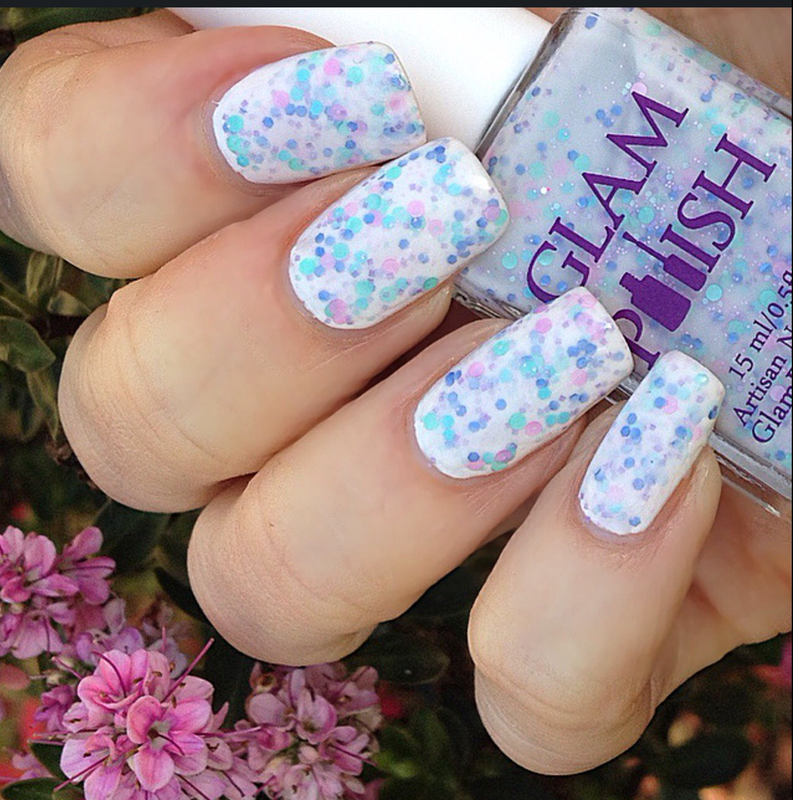 From the Glam Polish collection You’re Never Too Old To Be Young, In Summer was inspired by Olaf’s song in Frozen, one of my favourite Disney films! 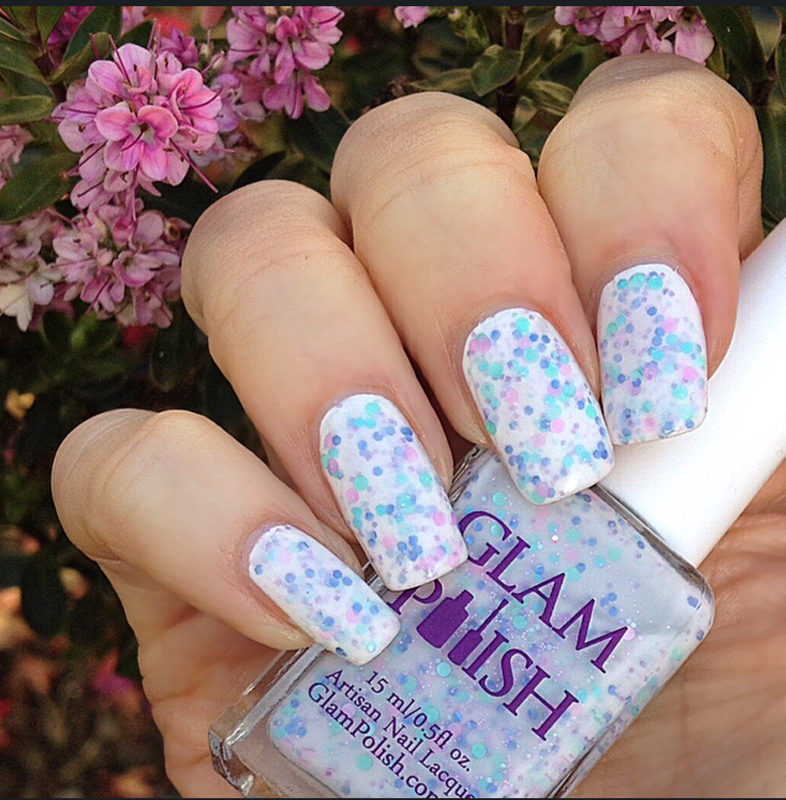 It’s a beautiful white crelly with small pink, periwinkle, lilac and blue glitter. Unusually for a glitter crelly this applied like a dream. 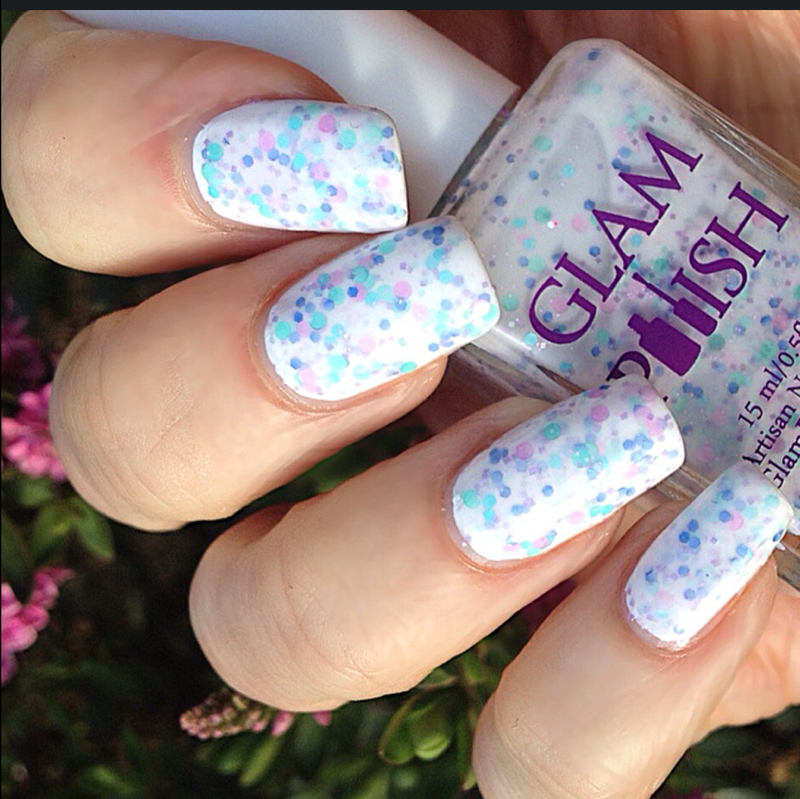 No fishing required and no clumping. Two thin costs and it was opaque and a top coat smoothed it out beautifully! I never wanted to remove this! And it glowed in direct sunlight which in itself is a rarity in England! I’m quite embarrassed to admit this is my first experience of a Picture Polish but I now totally get the excitement about this Australian indie polish brand. 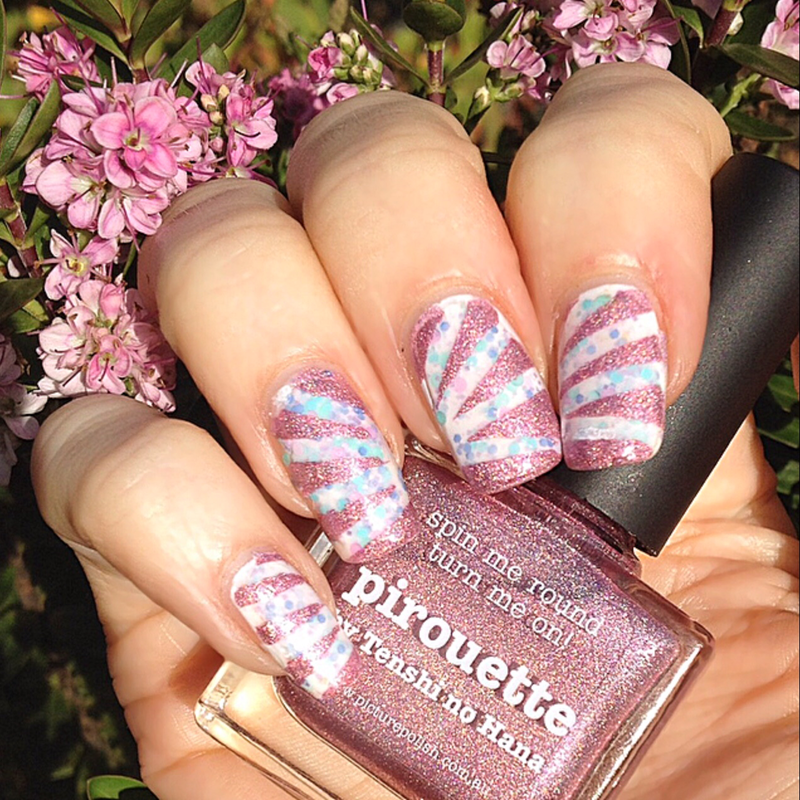 Pirouette is a medium pink with a subtle scattered holo through it that has a beautiful glow and sparkle in the sunshine and natural lighting. 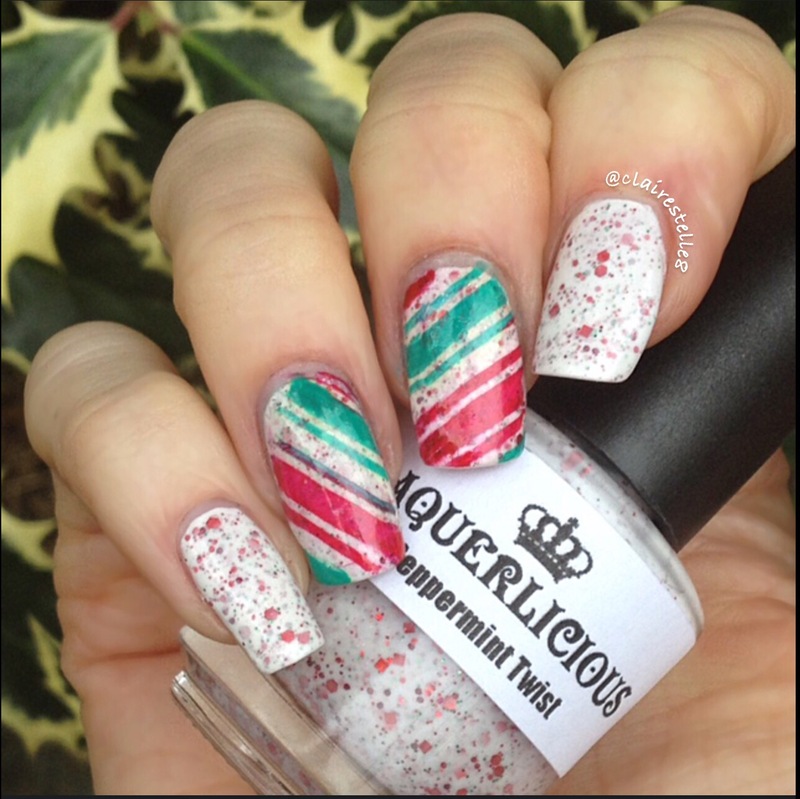 The consistency was perfect, application was flawless and it was opaque in two coats. 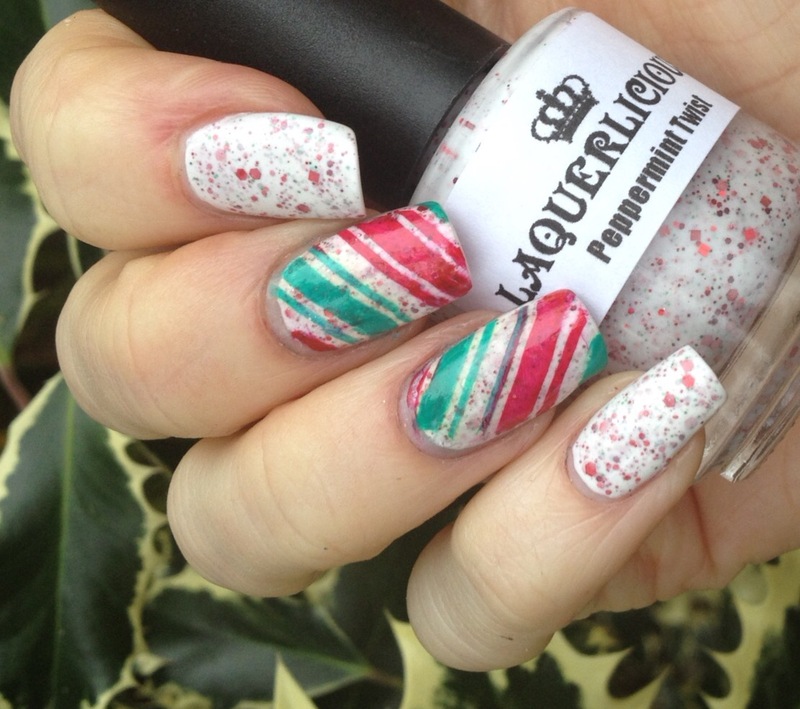 I couldn’t resist using this beauty with some straight vinyls over Glam Polish In Summer. My aim was to reflect the spinning round of a pirouette in my design! 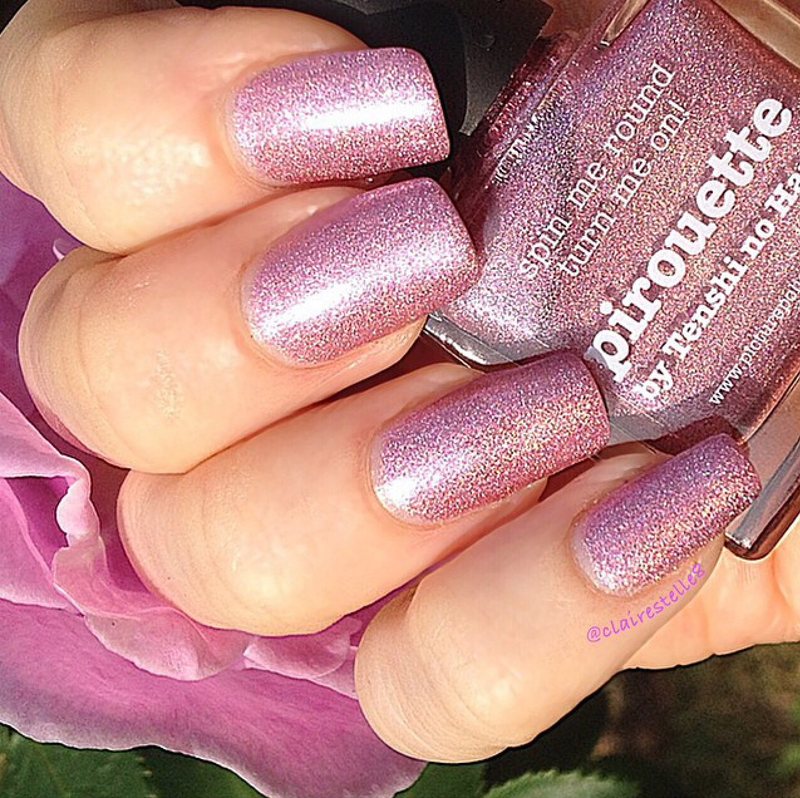 Picture Polish can be purchased at http://www.harlowandco.org/ and http://www.llarowe.com/ or direct from https://www.picturepolish.com.au/ if you live in Australia or New Zealand. 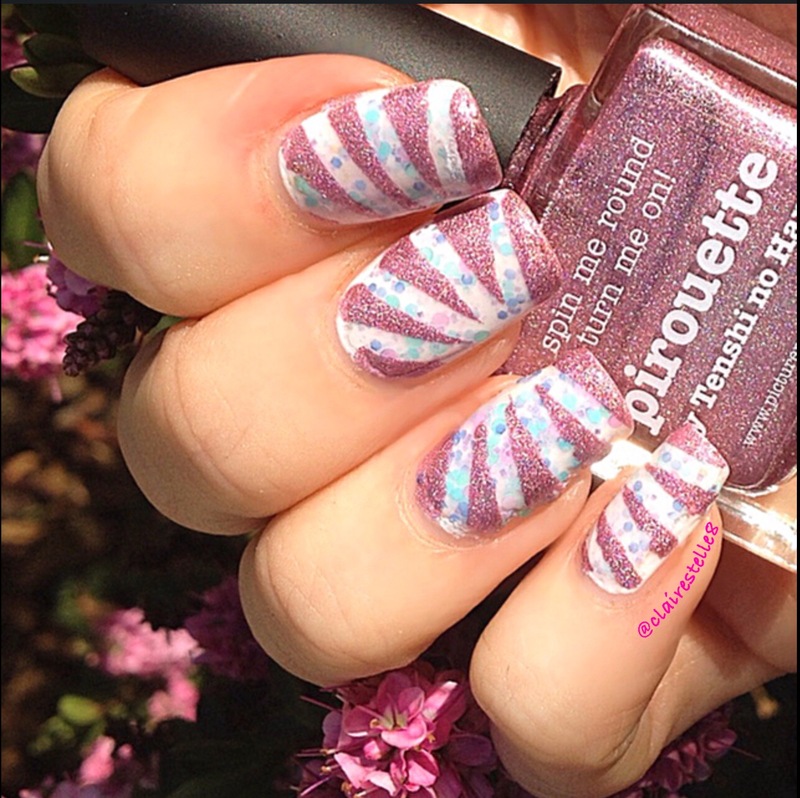 Be sure to follow Picture Polish at http://www.instagram.com/picturepolish and https://www.facebook.com/piCturepOlish for all the latest news!